To Grade or Not to Grade…Is that the Question? I recently read a fabulous article by a middle school principal who is asking very important questions about what grading should look like. Make sure you read the entire article! I had originally planned to write my own two cents, but then the title of this post popped into my head. I started to think, could I actually take Hamlet’s soliloquy and create a monologue of my own about grading? So without further ado…. Than to risk a change of which we have no guarantee? and stops being the purpose of a grade at all. John Spencer posed a wonderful topic for #rechat saturday morning (feb 23rd). The discussion lead to whether or not we should distinguish between digital citizenship and everyday run-of-the-mill citizenship. Most agreed that there really wasn’t much of a difference between the two other than WHERE citizenship happens. What became more difficult was defining citizenship. John Spencer tried to get participants to go beyond the simple “be nice to each other” definition that frequents citizenship lessons. He believes that good citizenship is not about “playing nice” but instead encompasses ethics, critical thinking skills, and autonomy. I would like to go a step further with his definition and say that being a good citizen requires a state of constant mindfulness. Teenagers have a hard time stepping out of their own first-person point of view (to make a video game analogy). They aren’t equipped with a natural ability to step outside of themselves to view how their actions affect other people. This takes time to develop and requires a nurturing environment. Good citizens acknowledge diversity, engage in honest inquiry, act on ethical decisions, and make mindful contributions to society. We don’t want to create students who parrot the actions/reactions of others (whether it be kindness or malevolence). We want students to be able to make their own decisions and be conscious of how their decisions affect them as well as others. We do want them to act out of kindness, but not because social norms tell them to do so, but because they understand the positive effects of benevolence. So, how does this translate to digital citizenship? We want students to be able to question content placed on the internet. We don’t want them to accept information at face value. We want them to understand that information on the internet has permanence and multiplicity. We want them to learn to dissect, sift and sort through information to help them expand their vocabulary, broaden their viewpoints, and develop their own values. We want students to understand the value in using information to explore and support their own ideas, but we also want them to respect the effort that went into making that content readily available to them. Most importantly, we want them to be able to add meaningful content to the world-wide web. As an English teacher, it becomes increasingly difficult to get my students to understand plagiarism and why I believe that it is wrong. Plagiarism is so rampant on the internet that it is difficult for my students to do the right thing when it comes to respecting copyright. Intentional copyright infringement is not only profuse on the internet, but teachers frequently break copyright law in the name of “fair use”. Teachers seem to misunderstand or are not educated on true fair use guidelines as it applies to educators. Even if we are creating content for educational use, we should model appropriate citations on worksheets, PowerPoint/Keynote Presentations, and handouts. I don’t think teachers realize the true legal repercussions of plagiarizing and are putting students in jeopardy for ignoring the opportunity to teach students about TRUE fair use and creative commons licenses. For those of you unsure of what fair use for educators truly means, check out the copyright guidelines from the United States Copyright office. This PDF File presents the law specifically as it relates to teachers and librarians. If you want something a bit easier to read, try this chart from the Know Your Rights brochure disseminated by the Association of Research Libraries. Most importantly, teachers should continually look for content within the creative commons (you may also get creative commons licensed materials from Global Grid For Learning). Websites like Wikipedia, Google, Flickr all curate creative commons content that is searchable. 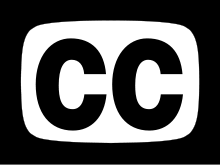 Teachers who create their own content should consider sharing this content with creativecommons.org. I embraced the flipped methodology whole heartedly as I researched it during the summer last year. I entered the fall fully believing that it would revolutionize my classroom. I still believe in the flip but have now come to re-evaluate it and redefine it. After thinking about all I have done half way through the year, I’ve found that I don’t really “flip” all that much in my classroom. At least, not by original Khan Academy definition. I don’t send home lectures/lessons to students and then do work in class. In fact, the flip has made me realize how pointless homework has become. Just by seeing that my students don’t even watch the videos I so painstakingly put together, I came to realize that it doesn’t matter if it is a worksheet or a cool video lesson. Students do not want nor seem to have time to complete all the homework they are assigned. I’ve changed my view on what I want my classroom to look like. I want students to LEARN not just DO. I want them to MASTER concepts, not simply be EXPOSED TO concepts. I want QUALITATIVE results, not QUANTITATIVE results. I want AUTHENTIC learning objectives, not STANDARDIZED objectives. I want all students to feel a level of SUCCESS with their learning. I don’t want them to obsess about grades. This fall I am making an effort to get rid of homework all together. If students are not able to finish in class, it gets pushed until the next time I see them. I’m also making an effort to allow for self-pacing. I want students to be able to master skills at a pace that makes sense to them. It is possible to have a set of standards for all students to master, but it is NOT possible to have all students master them at the same time, especially within one classroom. I find that I stil make the occasional video or keynote for students to view on their own time but these are resources for students to access. They are still responsible for their learning. I rarely lecture in front of the class and I spend most of my time roaming around the room checking in on students and helping where needed. I like this the most. I hand out a list of assignments/skills for students to work on and they go through the list deciding what they want to work on and when. They check their own work and move on when they feel ready. They see me if they want extra practice in a particular skill and they take quizzes to gauge their mastery. Today a student came up to me after class and said…”I like this class.” He managed to complete all of his assignments and found that his reading level had jumped a grade level (this was a big deal to him and me). He said he finally understood how to improve his reading, and he’s anxious to see his reading improve even more. He is proud because he knows HE did all of the work. He is motivated because now he has something that applies to him on a personal level. He has a goal that is not something the teacher set for him, but something he decided for himself. This is empowerment. I have a long way to go before my classes become what I want them to be (or better yet, what students want them to be). I still have troubles relinquishing control over the assignments or control over what students should be doing during class. I had one class where I was constantly shushing students and asking them to stay on task. I deducted points for chatting, and constantly became frustrated and angry that they would not listen or pay attention to each other. I finally said, “you know what, as long as you complete the work and understand what we are doing today, then I don’t care if you chat or get all silly, etc.” Of course, several students took this as a sign to chat through the whole class and I sat there literally on my hands with my mouth in a tight line, but at the end of class, every one of them turned in their assignments and could respond to exit slip questions. I realized that I was trying to control something that really wasn’t important. Now, if my principal were to come into the classroom for evaluation, it might look like my class is a zoo, but they are learning in their own way. Then I think to myself about attending workshops or department meetings in which sometimes teachers chat with each other while a person is presenting. These side conversations may or may not be related to the information being presented, but I also don’t believe that they are not getting the information. We have to begin to instill a sense of responsibility in our students. They have to take ownership of their learning and their behavior. We have to let go of control and give students the opportunity to tell us what it is they want to learn and why. They have to be able to leave the classroom and take something with them when they move on into the world. It’s a BIG lesson that will take me time to master, but I’m hoping that I can begin to connect with my students more and encourage them to make the most of school.